Start using our SDKs tailored to your programming language. Discover existing integrations built with our trusted partners. Scalable and easy-to-use UI components for your projects. Are you looking for tech-focussed content? You're in the right place. 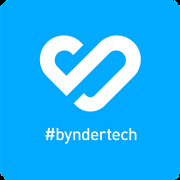 You can find all the articles written by Bynder's tech team here! Technology never sleeps! That's why we work round the clock to adapt and apply the latest offerings that will boost Bynder for all our users. New Bynder Compact View built in ReasonML released! UI component that will make your life a lot easier regarding getting assets from Bynder into your web app! Our Python SDK is finally available, making it easier to connect to the Bynder API and builing apps with it. We might be done with formal education, but that doesn't mean we want to stop learning. That's why we launched the Bynder tech meetups. By inviting developers working across industries to get together and talk all things code, we can learn from one another—one meetup at a time. Why not join us? Find out more about our tech meetups at our JavaSript Guild page.